Pollachi is second only to Coimbatore in terms of size. With a number of activities to do in and around Pollachi, you will never find yourself bored in this Tamil Nadu town. Lying very close to a number of wildlife sanctuaries and waterfalls, this place offers safaris and trekking and picnic opportunities. The temples of the region are also famous and doused in folklore and legend. Pollachi makes for an interesting place to visit, especially with the option of spending the nights in a treehouse! Pollachi is considered South India's biggest cattle market. 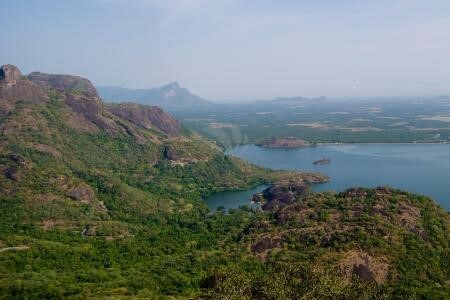 ; Time to visit: December to February; Trek at Valaparai; Waterfalls and temples dot the region; Enjoy a typical Tamil Sapad (meal); Pick up local handicrafts as souvenirs. Pollachi is considered South India's biggest cattle market. Pick up local handicrafts as souvenirs. 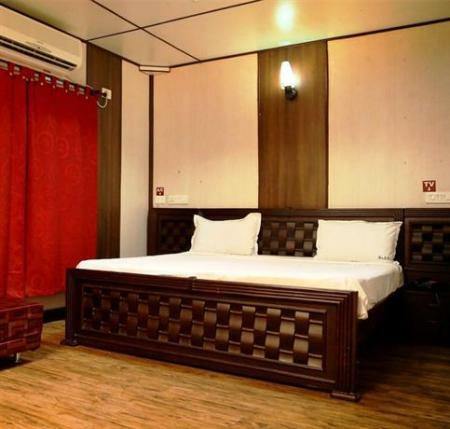 In proximity to Amravati Dam, Trimurti Hills and Annamalai Tiger Resort, the resort features a library, Wi-Fi internet access, laundry (on request) and parking facility with round the clock room service. 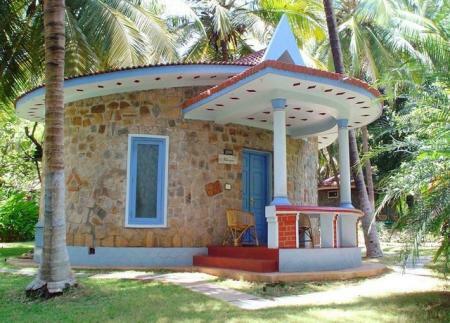 River Escape is located on the banks of the river Amaravathy. Easily accessible to Kerala and about an hours drive from Coimbatore and Palghat and a little more from Tirupur. 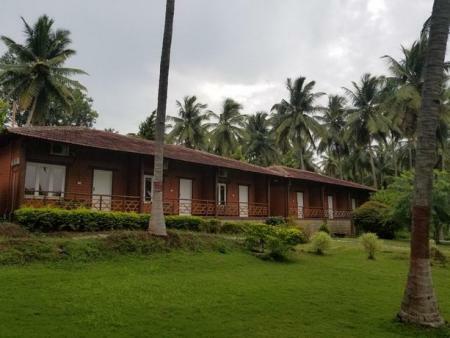 The resort is strategically located between Valpari (Anamalai Hills) and the Top Slip (Indira Gandhi National wild Life Sanctuary), home to numerous wildlife species. A Unit of The Eco Tourism Corporation, the River Escape is an ideal stay for you and your family to relax, to catch a glimpse of the wildlife activity or take a scenic drive to Valparai to enjoy the abundant natural life. 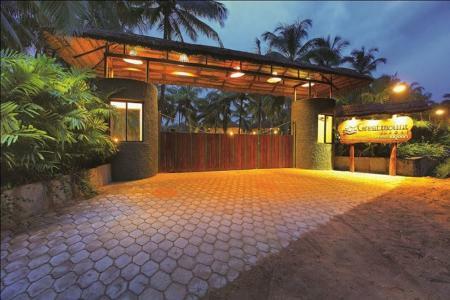 Close to the Parambikulam Tiger Reserve, enjoy your stay in the calm and serene atmosphere at Tiger Hills Resort. Take part in the wide range of activities organised to keep yourself occupied. 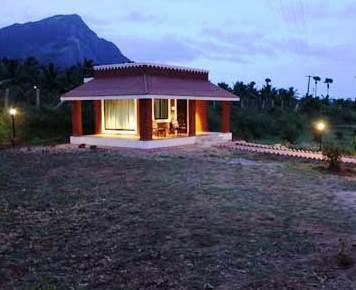 Experience the warm hospitality and amenities provided by Westernghats Villa, located around 25 kms from Pollachi. 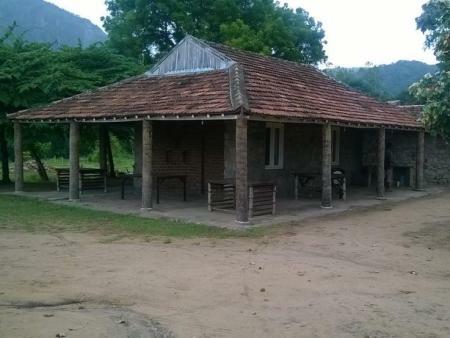 Nestled in the Anamalai range, CotsVilla is close to the Topslip Elephant Camp and the Parambikulam Tiger Reserve. 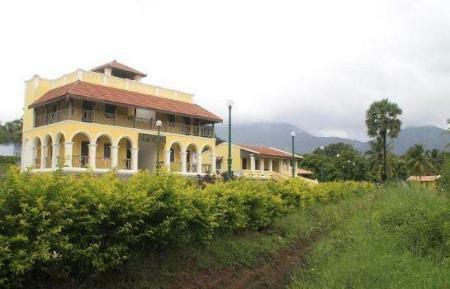 It offers spectacular views of the mountains and is not too far from the hill station of Valparai. The breathtaking views from this jungle resort tucked away in the foothills of Anamalai will definitely be worth your while. 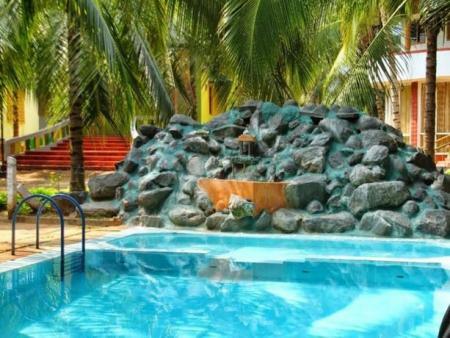 Enjoy the privacy of the cottages surrounded by lush greenery and breathe in the fresh air around. If you want to relax amidst the lush greenery with an amazing river view, Sakthi River Resorts offers just that! Equipped with a swimming pool and two in-house restaurants, it is the place to be for a laidback getaway. Unwind and rejuvenate with the ancient healing practices of India while you enjoy the comfort of the luxurious rooms and the lush green surroundings. Masani Amman Temple: The temple is roughly 16kms away from Pollachi, and has Goddess Masaniamman as its deity. The statue of the deity, lying on her back measures 15 feet. The legends surrounding this temple are fascinating and make for a good story to listen to on a visit. Monkey Falls: Natural waterfalls that cascade beautifully down the rocky mountainside. Monkey falls is on the way from Pollachi to Valparai. Be sure to stop and take a picture at this elegant waterfall! Valparai: A hill station roughly 65kms away from Pollachi, Valparai is sheathed in tea and coffee plantations. The drive from Pollachi to Valparai passes through the Indira Gandhi Wildlife Sanctuary, as well as Aliyar Dam and a few waterfalls. Aliyar Dam: With various activities surrounding the region, such as boating, living in a treehouse or even relaxing in a park, Aliyar Dam has it all. It even has a mini theme park maintained by the Tamil Nadu Fisheries Corporation. A popular tourist destination. Temple of Consciousness: Stay overnight or take a shorter course at the temple of consciousness, roughly 25kms from Pollachi. Meditation, introspection and other courses start at Rs.100 per person. Tap into your spiritual side at this center for learning. Parambikulam Wildlife Sanctuary: Take a safari at this wildlife sanctuary, roughly 55kms from Pollachi. Declared as a Tiger Reserve in 2009, the Parambikulam Tiger Reserve is one of the most protected areas in the Western Ghats. Choose from various trekking options, safaris, and nature education camps. With Tamil as the prevalent cuisine in Pollachi, you can be sure to find well spiced lentils and rice as the staple diet here. Flavorsome preparations are sure to excite those taste buds. Try the Tamil Sapad, served on a Banana Leaf. Try Anandbhavan Hotel or Shakti Hotel for the authentic taste of Tamil Nadu. Buy local handicrafts at shops near the Dams. The Jaggery Market here is Asias largest Jaggery Market. Climate: Its location gives Pollachi a climatic edge. Enjoying pleasant climate throughout the year, Pollachi is best visited between December and February. Connectivity: A bustling city, Pollachi has good mobile connectivity. Trivia: Pollachi is the second largest town in the district after Coimbatore.